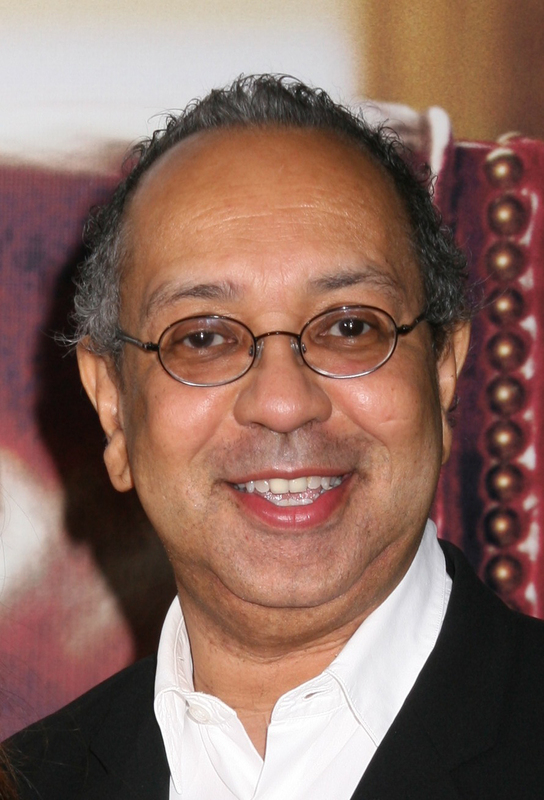 George C. Wolfe has directed such diverse productions as Angels in America, Caroline or Change, Elaine Stritch: At Liberty, and Topdog/Underdog as well as serving as Producer of the New York Shakespeare Festival from 1993 through 2005. His latest musical, Shuffle Along or The Making of the Musical Sensation of 1921 and All That Followed, opened on April 28. We spoke to him last month in the manager's office above the lobby of the Music Box, our discussion punctuated by the sound of a preview over the backstage intercom. What initially attracted you to the Shuffle Along project? George C. Wolfe: It accumulated over a period of time. I was interested sort of abstractly for a very long time. Like, "Oh, that's curious!" "Oh, that's interesting!" "Oh -- that person was involved?" "And that person was involved?" Any time I do a show, I like to live in a different place, go to a different energy, go to a different rhythm. I was interested in exploring a very innocent time; I don't think it was a free time, but it was a very innocent time. And I was also very intrigued by going back emotionally to the time when I was first living in New York. I just wanted to do shows, and I had all these dreams, and I believed that it was all possible; I was completely and totally terrified that it wasn't possible. I believed I could do everything, and at the same time I didn't know if I could do anything; so I wanted to revisit that side of myself. My interest in Shuffle Along, and my interest in exploring that time within myself, sort of seemed to meet at some point. Where did the idea of making it a show about the making of Shuffle Along? George C. Wolfe: The more I learned about the people, the more mesmerized by them I became. Flournoy Miller and Aubrey Lyles went to Fisk University; Lyles originally went there to study medicine. They ended up in vaudeville, doing a blackface routine for white audiences that we would view from 2016 as inappropriate. I was fascinated by the fact that Eubie Blake's parents were both slaves, and he dreamed of writing a Broadway musical. And that Noble Sissle had the exact opposite sort of dynamic: his father was a preacher, and he grew up in a totally integrated world in Indiana. So these men seemed to be from different worlds, but at the same time they found the commonality of wanting to tell this story; and by a fluke and talent and guts and foolishness, they ended up making a show that was extraordinarily successful. And then time ended up sort of completely disregarding that show. So I was just intrigued by all these extraordinary contradictions. Did you at some point consider doing Shuffle Along as originally written? George C. Wolfe: It was all very fascinating. A lot of '20s musicals were a hodgepodge of melodrama, mixed with operetta and romance, and then some sense of modernism and some sense of irreverence. The book of Shuffle Along was all over the place. I loved the fact that they'd act out a quasi-dramatic scene; and then they'd go on for fifteen minutes of a fight between Miller and Lyles, which was an extended pantomime; and then after that Eubie -- who was conducting -- would come up out of the pit, and he and Noble would do three numbers, and then he'd go back down in the pit and the show would continue. I loved the out-of-controlledness of it all, and that became very fascinating to me as a structure. I knew I wanted it to be about the "making of" -- and sort of the "unmaking of" -- fairly early on; but I didn't quite know what that meant. So I allowed myself a chance to discover it. George C. Wolfe: The idea of Shuffle Along has been simmering somewhere for quite some time, but I think I only really started to think about it as a "show" show about a year-and-a-half ago. I did tons and tons of research; and after I said to myself "I'm going to do this," I spoke to Savion. I said, "I really think I'm going to explore this project," and he said, "Okay, let's do it!" 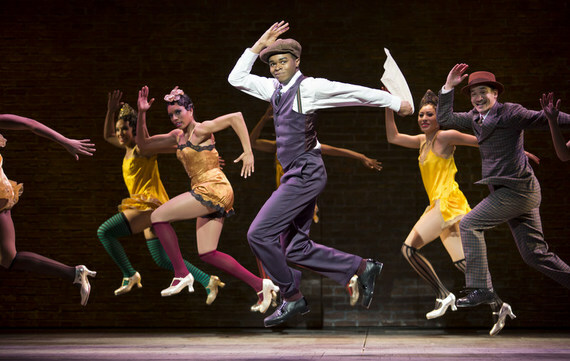 In Shuffle Along, movement -- of the scenery and the cast -- seems to propel the show. How did you develop that? George C. Wolfe: I knew how I wanted the show to move, I wanted to make it-for instance, oh, a curtain flies in! And then, there's a brick wall! I wanted to reduce theatre down to its most simple level, and then make each time one of those things happen, make it something wondrous for the audience. Like "and now we're here, and now we're here, and now we're here!!" So it has an incredible sense of play and discovery. In many respects, this play is about searching for a theatre, trying to find a home. So I wanted to make that journey fun and delightful for them, but fun and delightful for the audience. I love working with a set designer, because in many respects you meet the set designer before you meet the actors. So it's a chance for me as a director to figure out what I'm thinking, and to explore how the space is going to actually be activated. Through the process of working on it with designer Santo Loquasto and with Savion, I knew how I wanted the show to move through space. But working with Santo, I discovered the space that I was moving through. The Ensemble in Shuffle Along. The show includes about a dozen songs from the 1921 production of Shuffle Along, but the "making of" concept requires additional songs. How did you assemble the score? George C. Wolfe: "Memories of You" and "You're Lucky to Me" are songs Eubie later wrote with Andy Razaf, who was a frequent collaborator of Fats Waller. For the "Struttin' Medley," I just looked up all the "struttin'" songs I could find. There were 9,000 "struttin'" songs in the 20s and the 30s! We put together four of them, one is Eubie's. And "Swing Along" was written by Will Marion Cook, who was a huge influence on Eubie in particular and a lot of the artists with the show. Most of the rest of the score is based on music by Eubie from the original show, with new lyrics I wrote. Everything was made to feel like it was written in the '20s, because if you use a tricky rhyme scheme it'll stick out. What attracts you to a theatrical project? George C. Wolfe: I used to think I had some uber-guiding intelligence, but I think in some respect that projects choose me. When I did Lucky Guy, Nora Ephron's play -- well, I moved to New York in the '80s, so I wanted to live there for a while. I felt like Shuffle Along said to me, okay, you're doing this NOW. I remember at one point someone called me up and said, I hear you're being considered to do Angels in America. And I said, well, I don't know anything about it. And then a day or so later, somebody called up and said, Tony Kushner wants to meet with you. Certain things come to me, I just become intrigued by them, and want to live inside them. One time a friend took me to a Knicks game, and I was just fascinated by the rhythm of what was happening on the court, and the impact it had on the crowd. And I went, I want to work on a show where rhythm instantly hits an audience repeatedly, and they instantly respond. And that's where Bring in 'da Noise, with Savion, came from. Sometimes it's just a fluke; I'll find myself walking through an accidental door, and then I'll think: "Oh, I have to do this project, right now, at this point of my life." What part of the creative process do you most enjoy? George C. Wolfe: My absolutely favorite time of working on a project is the time I spend not knowing what it is. Because the longer you live inside that period, the likelier you are to discover something new. And so, just to keep my brain working, and a sense of danger -- to keep a sense of how exciting it is to not know, that's why I like doing different kinds of projects. And the thing I tell actors, and I firmly believe myself: an audience can tell when they're in the presence of a truth that was discovered just for them on a show. And they can tell when it's a stale truth that you discovered on another show.